Why does my bankruptcy attorney need my tax returns, pay stubs and bank statements? Nearly every bankruptcy attorney asks their clients for pay stubs, bank statements, and tax returns before filing the bankruptcy petition. These documents are necessary for both the preparation of a bankruptcy petition and complying with the mandatory document submission to the Trustee that occurs after filing. To qualify for chapter 7 bankruptcy your income for the past 6 months must be below a certain threshold. Specifically, your average monthly income for the 6 month period must be below the median monthly income for a household of your size in California. Unsurprisingly, the bankruptcy paperwork requires accurate disclosure of your income over the 6 month period. For many clients income consists of wages to which their bankruptcy attorney will ask for 6 months of pay stubs. The bankruptcy paperwork requires disclosure of your year-to-date income and income for the past 2 years. To provide an accurate disclosure your attorney will ask for your tax returns for the past 2 years. 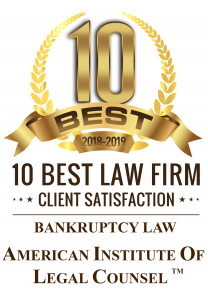 Some clients have difficulty remembering if they received certain forms of income, made large purchases, or otherwise had an undisclosed financial benefit or problematic transaction that could jeapordize their bankruptcy. To verify sources of income and identify problematic transactions your bankruptcy attorney will ask for 1 to 6 months of bank statements. Section 521 of the bankruptcy code requires petitioners to deliver last year’s federal tax return and 60 days of pay stubs to the Trustee, in addition to any other financial document requested by the Trustee, at least 7 days before the meeting of creditors. Trustees typically request last years federal and state tax return, pay stubs for the 60 day period before filing, and last months bank statement for all bank accounts. Accordingly, your bankruptcy attorney requests these documents from you before filing.